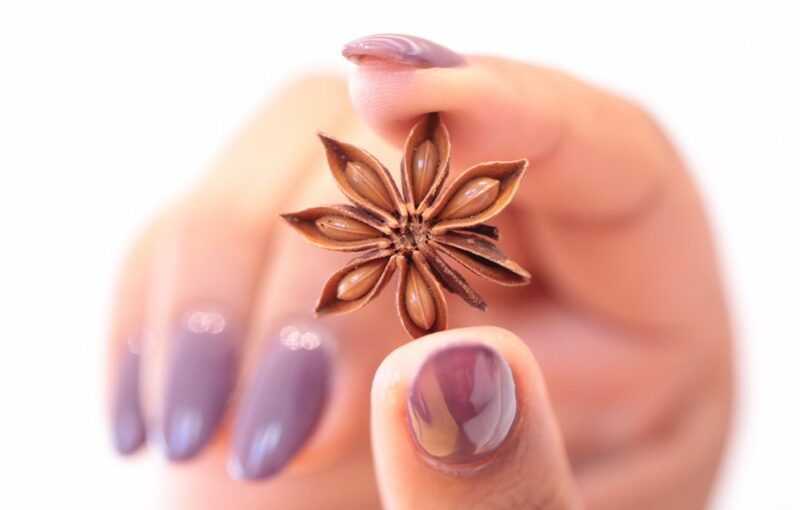 Star anise is a very particular spice, but once mastered, it can be one of the most versatile ingredients in your kitchen. Combining star anise with vanilla pods is a classic poaching technique that inspired the dessert recipe I propose at the end of this post. A few centuries ago, the crusaders returned to Europe with amazing, exotic treasures they had encountered in India and the Middle East. The spices they brought back were considered especially valuable, and their incorporation in traditional European cooking has forever changed the possibilities of Western cuisine. Take wine for example. Kings and their courts would have soaked and infused many spices, including star anise and sugar, into their wine before a feast. Today we enjoy a similar beverage in the form of mulled wine – an amazing treat after a cold winter day on the mountain! In the summers of Marseille in the south of France, locals can be found enjoying pastis, a cold liqueur made of star anise and other herbs and spices. Or consider the classic bouillabaisse, a soup made of fresh Mediterranean seafood finished with star anise and saffron. The combination is somehow perfect – a rich, aromatic broth that leaves you with the gentle, tingling flavor of star anise. While I’m typing, I am indulging myself in a glass of wine and a cheese platter paired with a loaf of fruit bread lightly scented with star anise. I have to admit, I was dubious when it was suggested that I match such a unique spice with goat cheese, but the result is simply amazing. If you like fennel or licorice, then star anise is your next move. It has so much to offer in its wide and surprising variety of applications. I would urge anyone who has never tasted it to buy a small bag and get cooking. Get over your perception of flavor combinations or the culinary traditions of wherever you come from. Food has no borders or rules, and you’ll never know what you might like until you try it. Below, I’ve put together a recipe for a fruit syrup infused with star anise, perfect for drizzling over ice cream. I think the aromas of the ingredients and the reaction of the peaches works really well together, but that’s just the opinion of my taste buds. Shalini from Los Angeles tried this recipe recently, and she kindly offered to share her experience. I hope to hear your thoughts on this pairing and your ideas for new possibilities. Drop a comment and let me know what you think! Before I dive into the actual experience of making this recipe, let me tell you a little about myself. I’m a single lady living in Los Angeles and while I love cooking, I often don’t have the time to do it. Fortunately, the idea of making a delicious fruit topping for vanilla ice cream was just too good to pass up. One of my recent work trips took me to Chicago, where my cousin Yasmeen lives, so I decided to try out this recipe while we were together. We’re both Indian American and although star anise is a big part of Indian cooking, we were shocked to see it being used in a dessert. I associate this spice with traditional, savory Indian dishes like chicken curry or biryani, a spicy, flavorful rice dish. The only time I remember pairing it with something sweet is in masala chai, a black tea made with Indian herbs and spices. I was honestly a little wary of using star anise in a dessert recipe, worried that having eaten it for 33 years in savory food would shape my opinion of this new combination. But I’m always excited to try new things, so Yasmeen and I went into this with open minds, ready to put our taste buds to the test. The first challenge was finding some of the less common ingredients. Bourbon vanilla? Lavender sprigs? Those are pricey items that don’t usually make their way onto my shopping list. Thankfully, Yasmeen ended getting both items, as well as the star anise, at a local Indian grocer for a much lower cost. The cooking process itself ended up causing a lot of laughter. We had no idea how to remove vanilla seeds (who does?! ), but we eventually solved the puzzle by slicing open the vanilla bean vertically and running a baby spoon across each half. We also struggled with cutting the serving size in half and converting the metric measurements. Our final hurdle was figuring out how to tell when the peaches were fully cooked. We had some really large peaches, so it took a while for them to soften, but we poked and prodded them until they seemed like a good texture to pair with ice cream. I instantly recognized the star anise flavor from my past, but I’ve never really had it in this context before. Indian dishes are usually filled with many different spices, so star anise is often a supporting actor rather than the star of the show. With this syrup, the star anise definitely stood out on its own, offering me a new perspective on a familiar spice. Although I found the licorice flavor too overpowering, it did add a unique sweetness and bitterness to the dessert. It gave the syrup a subtle kick – it was an unexpected spicy note in a very, very sweet dish, which I appreciated. To be fair, I did pour the syrup on a little too liberally, which may have made the flavor more intense than it should have been. Overall, I would give this recipe a four out of ten. Maybe I would have had a different experience if I hadn’t been so heavy handed with the syrup, and I certainly think that my savory associations with star anise played a role in my final opinion. Despite Yasmeen and I growing up on the same food, she said she liked the syrup and ended up saving it to use again. However, we both agreed that we probably wouldn’t go through the effort of making this dessert again when there are so many other wonderful new recipes to try. I love cooking and trying new foods and this experience definitely gave me a chance to do both. Plus, it gave Yasmeen and me an excuse to be indulgent and experience something new together. I would encourage you to try this dish for yourself and explore how your own background and preconceptions shape the way you think about food. Let us know what you think! Bring water and sugar to a boil to make the syrup. Cut the vanilla pod in half and remove the seeds. Add to the syrup, along with the lavender flowers and star anise. Add the lemon and orange zest and infuse for at least 5 minutes on a low heat. Add the peaches to the syrup. Put a dish on the peaches so they do not come to the surface. Cook them on low heat. Depending on the size and ripeness of the peaches, this step will take 30 to 45 minutes. Remove the peaches from the syrup and remove the skin if desired. Allow the syrup to cool. Arrange the peaches in a deep plate. Spoon some syrup on top. Serve with vanilla ice cream. You can read more about Younes’s flavor pairings here.